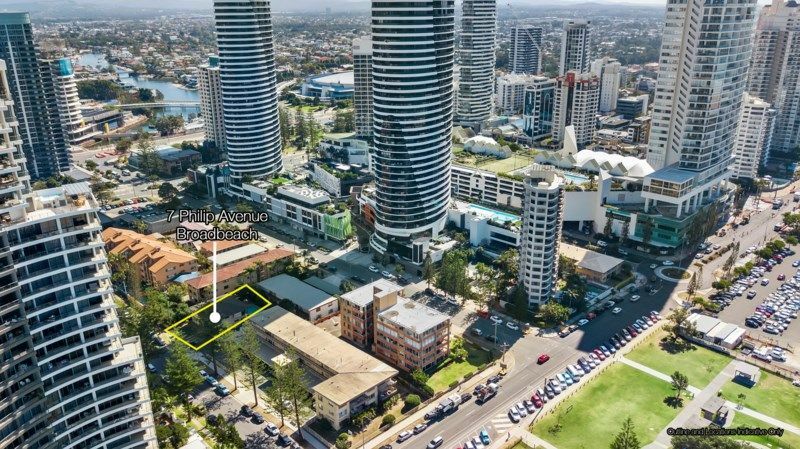 One of the few remaining houses in the high-density Broadbeach precinct has been sold for $2.3 million by Ray White Special Projects (Queensland). The two-storey, four-bedroom brick house plus pool at 7 Phillip Avenue is on a 516sqm development site with no height restrictions under the Gold Coast City Plan 2016. Matthew Fritzsche, Director, Ray White Special Projects (Queensland), says six offers and more than 30 inquiries were received during the five-week expressions-of-interest campaign which closed on October 10. The buyer is an undisclosed private group. “The sales process was competitive with interest from local and interstate groups, particularly from Sydney and Melbourne,” says Mr Fritzsche, who marketed the property with Daniel Janho, of Ray White Commercial Queensland. The residential site is in the heart of Broadbeach near Old Burleigh Road and is close to cafes, restaurants, light rail, The Star Gold Coast, Gold Coast Convention Centre and Pacific Fair and Oasis shopping centres. Parks and some of the Gold Coast’s most famous beaches are a short stroll away.